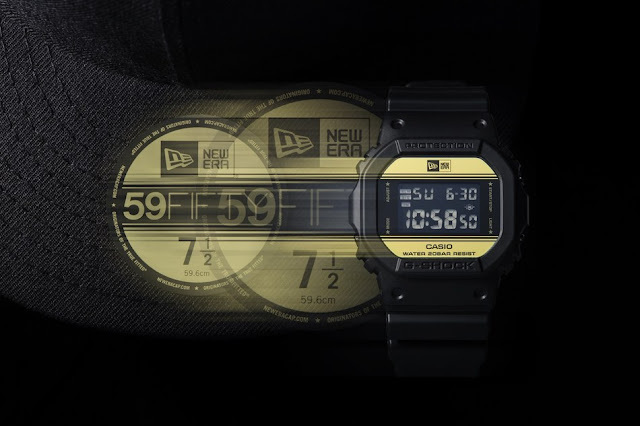 Casio G-SHOCK has once again teamed up with renowned international sports and lifestyle brand, New Era Cap Co. Inc., unveiling an all-new, limited edition DW5600 men's timepiece. The new model, which is inspired by New Era's signature cap – the 59FIFTY® Fitted, boasts an understated yet impactful color scheme in classic shades of black and gold. The DW5600NE-1 features a gold clasp, alongside gold accents on the face. The base model is the square DW5600, whose shape and dark coloring recalls the look of the original G-SHOCK. The watch also displays the New Era logo on the face and back of the watch. To commemorate this significant collaboration, the watch's collectable packaging has been designed in the form of a New Era cap, featuring G-SHOCK's 35th anniversary logo, which takes place throughout 2018. "We're thrilled to be continuing our partnership with New Era," said David Johnson, Vice President of Casio's Timepiece Division. "After seeing the success of our previous collaborations, we're excited to launch the latest model with a brand whose legacy is in line with G-SHOCK's." New Era, a legendary sports brand with a heritage of over 90 years, is best known as the official sideline cap of the NFL, the official on-court cap of the NBA and the official on-field cap of the MLB. Combined with G-SHOCK's absolute toughness, the two's continued collaboration is a natural fit. To view a video of the collaboration model, visit http://bit.ly/CasioxNewEra. 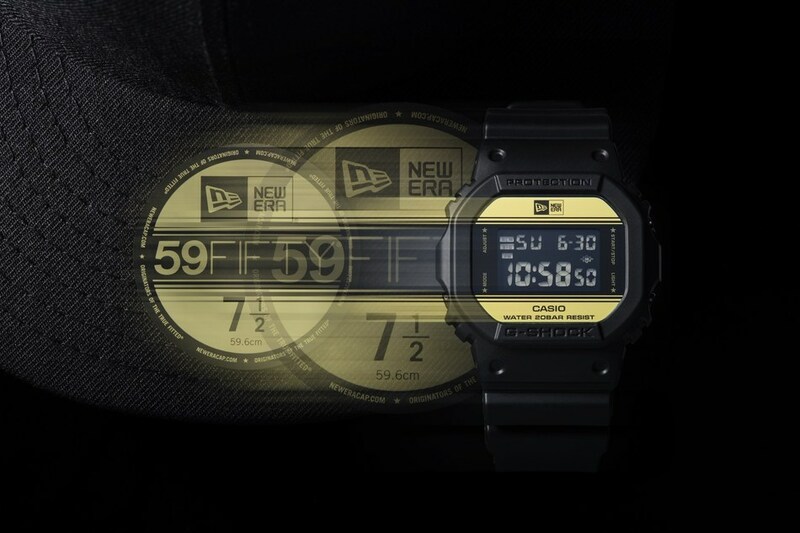 The DW5600NE-1 will retail for $150 and will be available for purchase beginning in September 2018 at retailers including the G-SHOCK Soho Store and gshock.com, as well as NewEraCap.com.